When you crave curry, nothing else but curry will do – we get it! 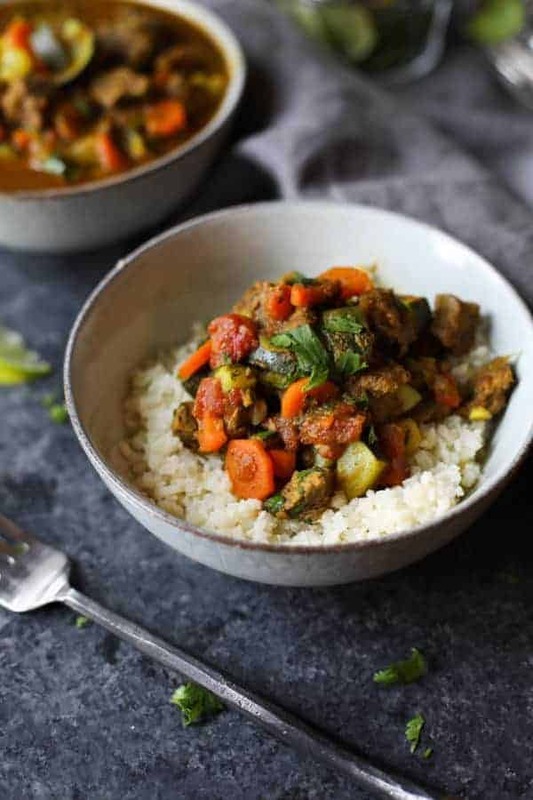 That’s why we love this Instant Pot Lamb Curry for a hearty, satisfying meal with very little clean up. Fancy a quick curry without the wait and all that stirring? Stacie and I both adore curry and have, what may be, a borderline obsession with the stuff. The warm, aromatic spices and silky smooth coconut milk-infused sauce…oh curry, why you gotta be so good?! What we aren’t all that jazzed about though is the time it takes to make a really badass curry. There’s a lot of stirring and sautéing that goes on and a fairly long simmer time if you’re using lamb because you want it to be really tender (which I do and I suspect you do, too). 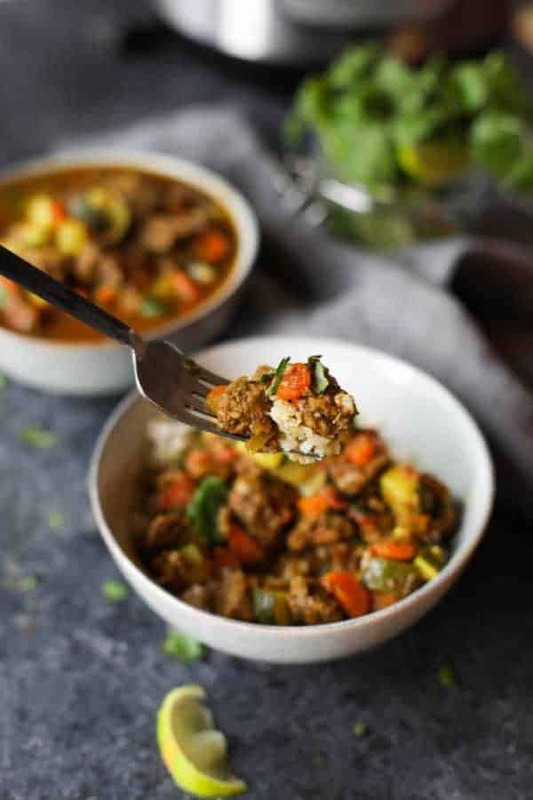 But all that stirring and waiting is a thing of the past thanks to this super easy Instant Pot Lamb Curry! So for a curry in a relative hurry my go-to is this Instant Pot Lamb Curry. I bought an Instant Pot just over two years ago with the intention of using it to make bone broth. But since then I’ve starting making everything from soup to chili to rice and even yogurt in it. It’s one of the few appliances that gets a full-time spot on my kitchen counter because I use it nearly everyday. And sometimes even 2 or 3 times a day. I know what you’re thinking. Pressure cooking is SCARY and you could blow up. We’ve all heard the horror stories of pressure cooking gone terribly wrong but I’m here to say that the Instant Pot is so easy to use that it’s nearly foolproof. And it has a load of safety mechanisms built in so you’d be hard pressed to blow the thing up. 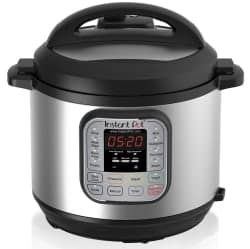 I have the Instant Pot IP-Duo60. It’s a 7-in-1 Multi-Functional Cooker that functions as a Pressure Cooker, Slow Cooker, Rice Cooker, Yogurt Maker, Steamer and Warmer and has a indispensable sauté/browning feature. This last feature means I no longer have to brown my meat or sauté my onions on the stovetop first (something I like to do to enhance the flavor of a dish – but it’s not necessary if you’re short on time). In this recipe we use the sauté function to simmer the curry after cooking to reduce and thicken the sauce and cook the zucchini before serving. Pressure cooking uses roughly 70% less energy than stovetop or oven cooking methods and you need only a quarter of the water you’d normally use making it a great way to save energy and water. I love using mine in the summer when I want to keep the kitchen cool – for example, it’s a great for making corn on the cob in just 4 minutes or steaming cubed potatoes for the perfect potato salad in just 10 minutes. I also love using it in the cooler months when I don’t have time to plan for an 8-10 hour slow cook time for a stew or when I want to make the easiest spaghetti squash or sweet potatoes. The fact that it’s not making my energy meter spin out of control is another bonus (and cash that stays in my pocket). Not only does pressure cooking use less energy, it also reduces the amount of time it takes to get a meal on the table. 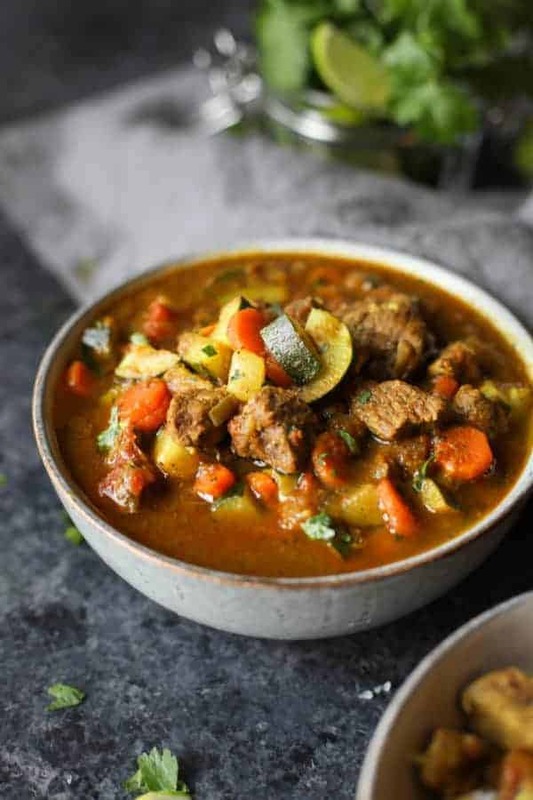 That’s why I love the pressure cooker for dishes like stews and curries that use tougher cuts of meat or hard vegetables like carrots or winter squashes. To save time I add the lamb to a mixture of coconut milk, lime juice, garlic, ginger and salt and pepper either the night before or in the morning and allow it to marinate until I’m ready to cook. I also chop up the veggies and store them in the fridge so I can knock another thing off the list. This takes me about 10-15 minutes. Then when I’m ready to cook I just need to add the lamb with marinade, canned tomatoes, spices, vegetables and ghee to the pot of the Instant Pot. I set the cooker to Manual (high pressure) for 20 minutes then turn my focus to making some cauliflower rice. 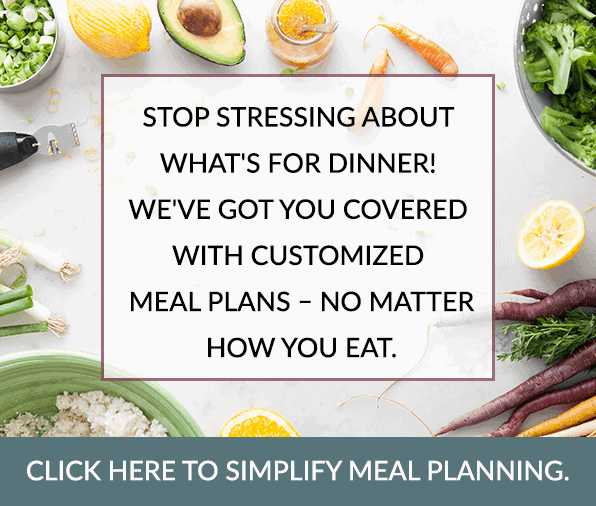 (If you’re new to cauliflower rice, be sure to check out our step-by-step photo tutorial for making it here.) Or sometimes I use Trader Joe’s frozen cauliflower rice and take the extra time to go outside and check on the garden or the chickens or read a book to my daughters or help them with their knitting projects. You can release the pressure as soon as the pot signals that cooking time has ended, however, if you can give it another 15 minutes to naturally release some of the pressure on it’s own before you open the steam release valve. Waiting to release is called ‘natural release’ and you get a much richer tasting curry and the meat will be more tender as it has a chance to rest and absorb some of the juices in the sauce. But if you can’t wait, that’s fine. Release the pressure and get onto the important things – like filling your belly and nourishing your body. Clean up is a breeze – just wash the inner pot and lid (I remove the seal and allow it to air dry) and toss all the dishes into the dishwasher. Done. 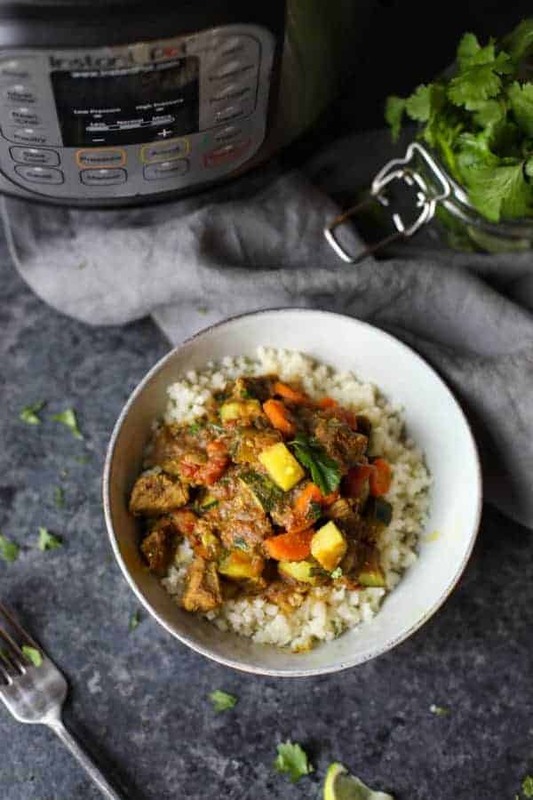 So when time has you under pressure why not take the pressure off with this easy Instant Pot Lamb Curry? You’ll be so glad you did because the leftovers are outrageous (and one of my favorite egg-free breakfasts). Now, get cooking! Nothing warms you up and satisfies a big hunger like a hearty bowl of curry with vegetables. Using the Instant Pot gives you tender meat and veggies in very little time. Adapted from Lamb Curry recipe in The Instant Pot Electric Pressure Cooker Cookbook by Laurel Randolph. Combine meat, minced garlic, grated ginger, coconut milk, lime juice, sea salt and black pepper in a container with a lid. Mix together and marinate in refrigerator for 30 minutes and up to 8 hours. After marinating, add meat with marinade, tomatoes with their juice, ghee, garam masala, onions and carrots. Lock lid into place then set the steam release handle to ‘Sealing’. Select Manual and cook at high pressure for 20 minutes. When cooking time is up, allow Instant Pot to naturally release pressure for 15 minutes then flip the steam release handle to ‘Venting’ to release the remaining steam before attempting to open the lid. Remove the lid then switch the Instant Pot to saute (normal) setting, stir in diced zucchini and simmer for 5-6 minutes without the lid or until zucchini is tender and sauce is slightly thickened. 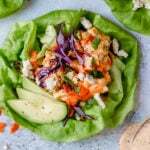 Garnish with chopped cilantro and serve over rice or cauliflower rice. Could you also use a crock pot for this recipe? If so, what would you recommend changing with the instructions and cooking time? You could definitely use a slow cooker for this recipe. I would still marinate the meat overnight then add all of the ingredients to the slow cooker (make you carrot slices a little thicker to prevent them from getting too mushy with the longer cooking time) – Cook on LOW heat for 6-8 hours as you would other stews. You may need to add a cup of water since liquid evaporates in a slow cooker and not in a pressure cooker. Then I would steam or saute the zucchini and stir it in before serving. Hope that helps! First of all,I must admit I am an Instant Pot newbie (just bought mine 2 weeks ago) and a curry junkie (the main reason I bought the IP).This recipe sounds nice and simple and the photo of the dish looks so delicious.We are having a dinner party next week and I shall give this recipe a try.I would be grateful if you could answer a simple question regarding IP cooking.If I double the ingredients,should I double the cooking time?Eg.for this recipe,if I double the ingredients (it’s going to be a big party! ),should I increase the cooking time to 40 minutes? Congrats on being a new InstantPot owner! Generally, I add just a few extra minutes when doubling a recipe and that seems to do the trick. You can always release the steam and check to see if you need to cook for a few extra minutes – once the contents of the pot are hot it takes considerably less time to bring the pot back up to pressure if you need to add a few more minutes of cooking time (just be sure to close the steam vent again). I hope that helps! Enjoy your party! Thank you Jessica for the quick reply and useful information.I look forward to trying out the recipe and tasting the curry!Thank you again. I’m happy to help, Jimmy – Bon appetit! This was AMAZING!! My entire family liked it (Husband said it’s in his “top ten” and both my teens liked it as well). I used beef stew meat from Aldi instead of the lamb and a 10 oz can of Rotel for the tomatoes…everything else was the same. Delicious!! Thank you so much! Awesome!!! We love this! Thanks for sharing your substitutions and the rave reviews from your family. So good!! This was my first time cooking lamb and my family loved it. 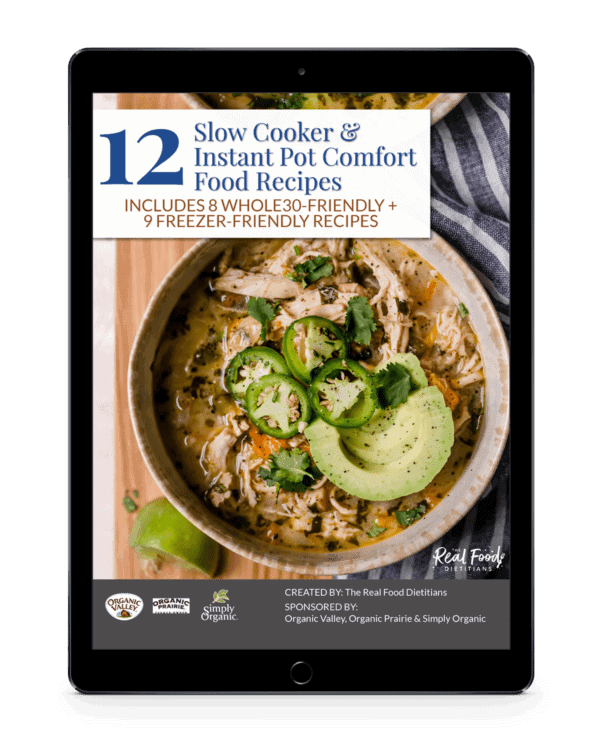 Keep the Paleo and Instant Pot recipes coming! Woohooo!!! We love hearing when families love one of our recipes. 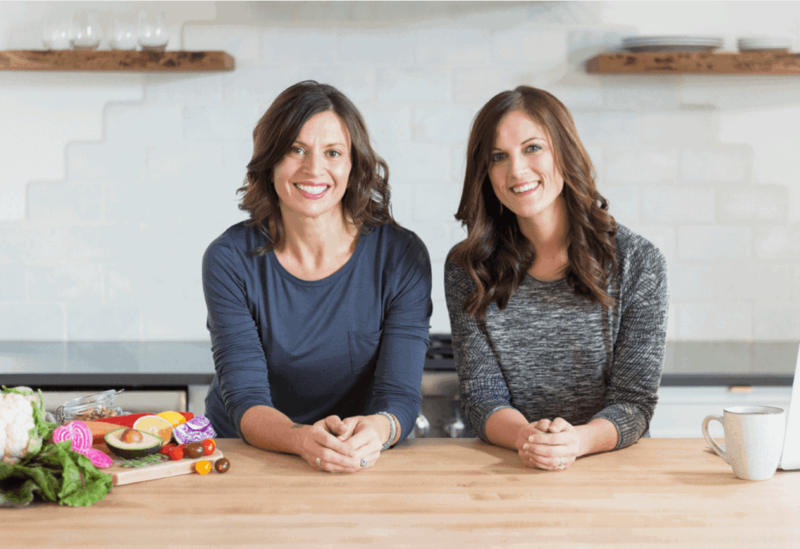 No worries, there are lots of great paleo, Whole30 and Instant Pot recipes to come! This was so yummy!!! I followed the recipe exactly and served it over cilantro lime rice. It was a big hit with the adults. My young kids (5 and under) didn’t love it, but I would absolutely make it again. The meat was really tender. I appreciated that the zucchini was still crisp tender. My hubby added cayenne to his and loved that. Thanks for a great recipe!! Glad to hear you loved it – cilantro-lime rice sounds amazing. Thanks for sharing! 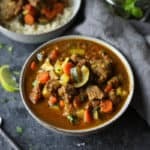 I want to make lamb curry in the Instant Pot, and I also want (separately) to make rice in the Instant Pot. I guess I would do the rice after the lamb curry is done, but rice seems to take a while in the Instant Pot. How do I work that out, timewise? I want to take advantage of the “natural” pressure release for the lamb curry, because (I presume) there is still some pressure that helps it “rest and absorb.” If I do the “quick release” of the pressure, instead — so I can get the lamb curry out of the Instant Pot so I can start the rice right away — should I put the lamb curry in the oven (at a warm temperature) so it keeps warm? But, will it still “rest and absorb” as well in the oven as it would in an Instant Pot that is in the process of “naturally” releasing pressure? 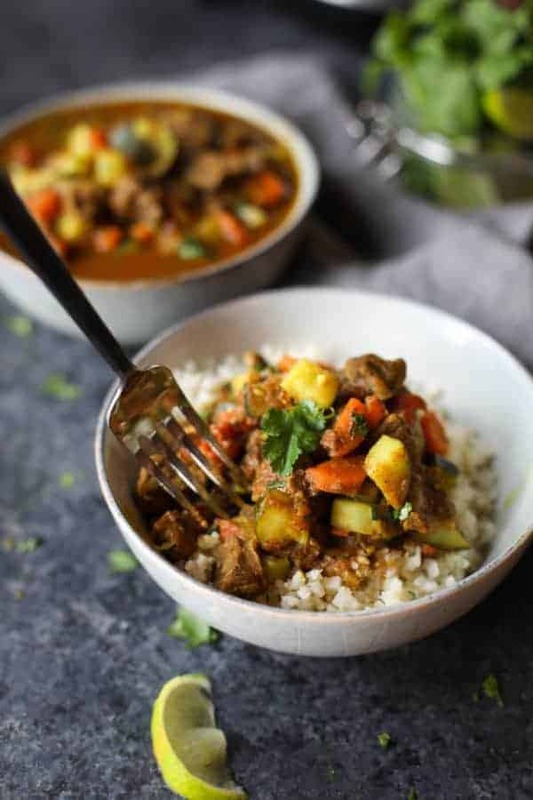 3) Prepare the rice first and transfer to a slow cooker set on low or a covered oven-safe dish in a low temp oven (with a few tablespoons of water) to keep warm – then prepare the Lamb Curry. Though honestly, this would be the least preferential way to do this as the rice would be holding for a long time and may start to break down. Thanks! Options 1 and 2 (especially 2 — how delicious!) sound like great solutions to this issue I have been struggling with, as well. Awesome! So glad I could help and save you the cost of 2nd Instant Pot. I just made this in a crock pot. I put it on low for 10 hours, added the zucchini when I got home from work (about 9 hours into cooking time) and left it for about 3 more hours (total 12 hours). I did add about a half cup of water, but it came out a little watery so if you are doing this in a slow cooker, just follow the standard recipe, don’t add any extra water. It turned out delicious!! Thank you for the recipe. 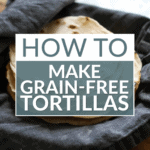 Great advice – thanks for sharing for those who want to make this in the slow cooker! 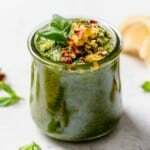 Can I replace the ghee with butter or coconut oil? 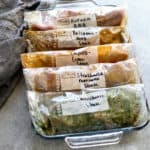 Thanks for pointing out the error in the prep time (it does take about 15 minutes to cut the veggies and meat – but you’re right about the marinating time) – I’ve updated the recipe accordingly. Glad you enjoyed it- serving it over mashed potatoes sounds delicious. I’m an instant pot newbie and this was the first ever meal I cooked in my instant pot. The recipe is delicious and my husband loved it. If I cooked it again, however, I would cook it for less time and figure out how to make sauce thicker. The meat and veggies were very soft, probably because I used the 20 minute cook time but only had 1 pound of lamb. As others have mentioned, I would omit the ghee. I might drain the tomatoes a bit too as the sauce was very thin even after simmering for 5 to 6 minutes. Any thoughts or suggestions that you had would be appreciated. I think what you’ve suggested (draining the tomatoes) would be a good place to start. You can also mix 1 Tbsp. arrowroot starch with 2 Tbsp. water and stir that into the curry while it’s simmering to give you a thicker sauce. What if I don’t have a lime? I would like to marinate it over night. A lemon will work but if you don’t have a lemon you could use a little apple cider vinegar to give you that acidity to help tenderize the meat. Best Christmas gift ever! So happy to hear you enjoyed this delicious recipe! 1)lamb shoulder chops on sale. BIG mistake. After spending an hour deboning and de fatting 2 lb of chops I got 3/4 lb meat. Downer; I had to cut this recipe in half. 2)read the recipe several times but still added the zuchini at the start. They sort of disappeared in the final product. 3)making curry, I actually forgot to add the curry! Did it at the end when I was “sauteing” to reduce the liquid. Turned out ok. I wasn’t going to open a 28oz can of tomatoes for a measly cup of tomatoes . I had one large roma that I diced (remember, only doing half the recipe). Was perfect. Did it all for 20 min hi pressure and it turned out great. One thing: when you put the marinated meat into the pot, it’ll look like there’s no way there’s enough liquid. And using a roma tomato (remember, it’s meatier (less juice) than a beefsteak, it looks even less. Don’t be fooled. There’s plenty of liquid for the pressure to build. Great recipe. Give it a try! 1) used 1T of butter instead of ghee. 2) used 1/4C of half & half instead of coconut milk (remember, only making half the recipe). I know it’s a substantial flavour changer but it worked out all right in the end. Thanks for the thorough feedback and glad it turned out for you. That hour of prepping the lamb shoulder chops was worth it! Any suggestion on what to substitute for the tomatoes? I try to avoid nightshades. I would just leave them out and substitute 1 cup of water plus additional coconut milk. Yes, you can substitute heavy cream for the coconut milk. This sounds wonderful! I love curry dishes! Can this be done in a slow cooker or on the stove top? Yes you could also make this in a slow cooker. Cook it on low for 6-8 hours or until everything is tender. Thanks for sharing! I’m happy to hear that you enjoyed it! You can use ground lamb in this recipe, you’ll just want to cook it first then add the other ingredients. 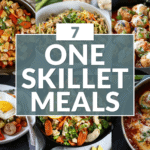 This recipe calls for 1 ½ Tbsp. garam masala but you may substitute yellow curry powder if you wish. So 1 1/2 Tbsp. yellow curry. Enjoy! Hello! What would you increase the time to if you had bone in lamb? About 2 lbs. thanks! You only need to increase the time if the piece of meat is large (as opposed to small cubes of stew meat). According to the Instant Pot website, you’d expect 10-15 minutes of cooking time for cubes and 35-45 minutes for a leg of lamb. However, since that longer cooking time would all but obliterate the vegetables, I’d suggest either cutting the meat from the bone and into smaller pieces or cooking the meat in the liquid and spices first, then releasing the pressure and adding the vegetables for another 12-13 minutes of cooking time. Hope that helps! This was really good! I followed the recipe exactly & served it over brown basmati rice. Definitely a keeper! This has become one of our favorite recipes. We’ve just been asked to bring it to our niece’s house for dinner again tomorrow. So delicious! We’ve also added dried fruits to the recipe in the past as well as cauliflower or potatoes, even kale. Yes! We love hearing stories like this. Thanks so much for sharing and love the idea of adding cauliflower and dried fruits to the dish as well. 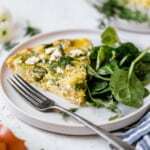 I would love to try this recipe can I use potatoes instead of zucchini? At what point would I add or pls ? Followed the recipe and had (2) “burn” alerts while it was coming up to pressure. Just scraped the bottom of the pot to remove the stuck bits the first time, there seemed to be plenty of liquid, Repeated the same step for the second alert and added 1/4-1/2 cup of chicken stock. The result was still really tasty but, to no surprise, was soupier than planned. Any ideas on what went wrong in the first place? I’m sorry to hear that you had that experience. It seems unusual that you would get a burn alert as we’ve never had that happen. It may be that your Instant Pot runs really hot. If you’ve had this issue with other recipes I’d suggest reaching out to Instant Pot to have them help you troubleshoot the issue as adding additional broth should have definitely fixed the problem.